Running through the Storms: Interview with Kathleen Fuller + Giveaways! 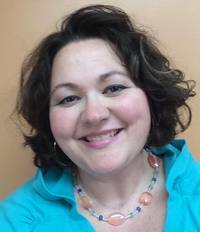 Please Welcome, Kathleen Fuller to my blog today!!! 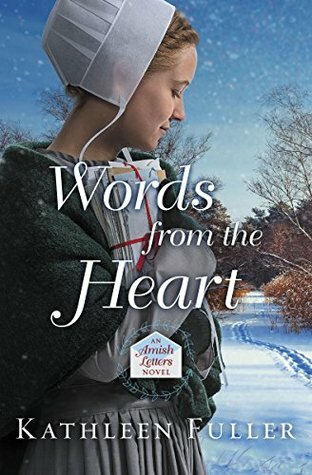 Grab yourself a hot beverage, a warm blanket, and a cozy chair; you as we embark on an interview about the woman behind some of our favorite Amish novels. How old were you when you started writing stories? 32. I'm a little unusual in that I never had the dream of becoming a writer, but when I discovered Christian fiction and at the same time asked God for a ministry, I felt led to try writing. I did take a correspondence writing course, went to conferences, and learned as much as I could about writing. What interested you in writing Amish fiction? Do you live near the Amish/have plain relatives? My interest developed when we moved to Ohio from Arkansas. I was interested in the culture even before I started writing. When the opportunity to write Amish fiction became available, I decided to go for it. I don't have any Amish or plain relatives, but I did make an Amish friend in Middlefield who helped me out with my first books. My background is Eastern Orthodox, although I'm Protestant now. The Anabaptist faith was something very unfamiliar to me, and I had to research and learn about it to get it right in my stories. Eating! I'm serious. We don't have any long-standing traditions in my family, other than baking and eating Christmas treats. When my kids were young, we used to bake a cake for Jesus' birthday. That is one tradition I want to keep going. Kathleen, this is also a tradition in our household too! Baking a cake for Jesus is important to us too, so I love to hear that you do the same! Do you have lots of decorations for Christmas or keep it simple in your home? Very simple. I'm not a great decorator, and I have eclectic taste, so I keep things to a minimum. I am eclectic in taste too, but I can't keep the decorations to a minimum, I try hard, but aspire to be like you! I love traditional carols. O Holy Night and O Come Emmanuel are two of my all-time favorites. Do you plan to write more Amish Christmas books in the future? Maybe with the current series in writing? I don't have anything Christmas themed in the pipeline, but I would love to write another Christmas book. They're a lot of fun. In Words From the Heart (Mar. 2018) Christmas is mentioned, but it's not the focus of the story. You can see it below. What a gorgeous cover it is! How many of you are excited to read this one? You are able to pre-order through Amazon by clicking this link, I have posted, especially if you are looking for a gift for someone, but aren't sure what that will be? You can pre-order it and tell them it will come in the spring! Readers love to know they are getting new books from their favorite authors, even if they have to wait! Thank you to Kathleen for joining us today!